Spacious and elegant rooms with trendy furniture. 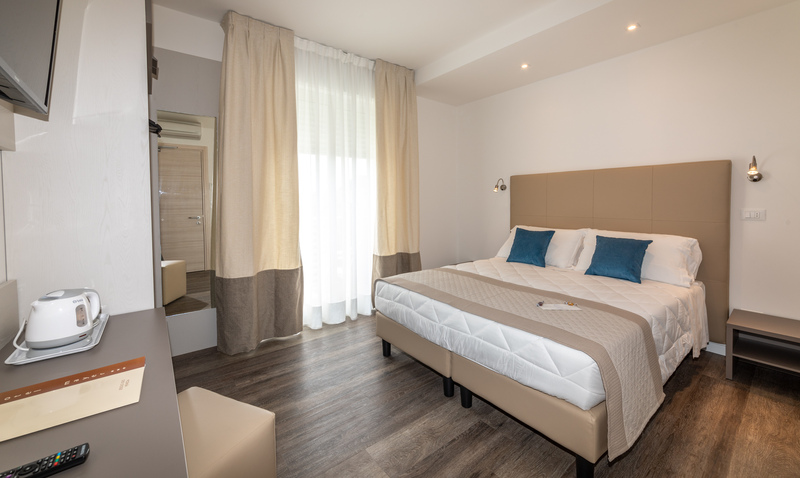 Our Superior rooms represent the best choice for those who want to relax after a day at the seaside. 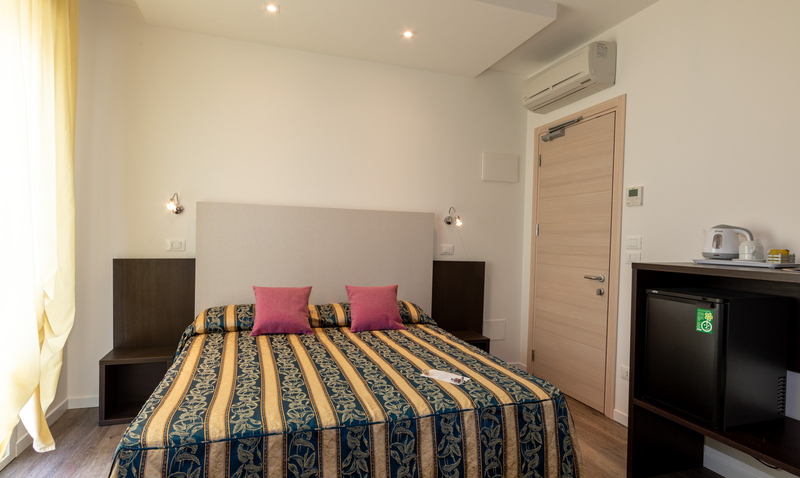 All Superior rooms have a terrace and include automatic air conditioning and LCD television with Sky TV and satellite channels that allow you to keep up to date with your favourite TV-programs. The rooms are also equipped with a mini-fridge that allows you to have a snack at any moment of the day. For the safety of your valuables the rooms are also equipped with a safe. 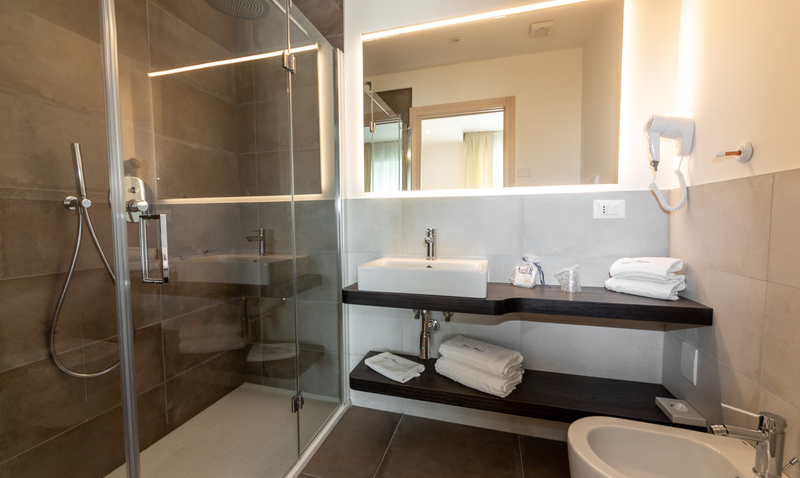 In the intimate and comfortable bathroom you will find a spacious shower, hair dryer and courtesy toiletries.